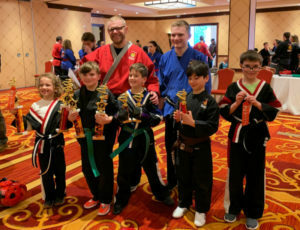 Connecticut's SDSS Martial Arts Studios were proud to present our first ever Sparring and Sword Sparring Tournament on Saturday, April 6, at the Marriott in Trumbull, CT. Students from all over the state participated across a host of belt and age ranges, from younger students right through the teen years. SDSS President, Senior Master Mikael Meyer, presided over the event. 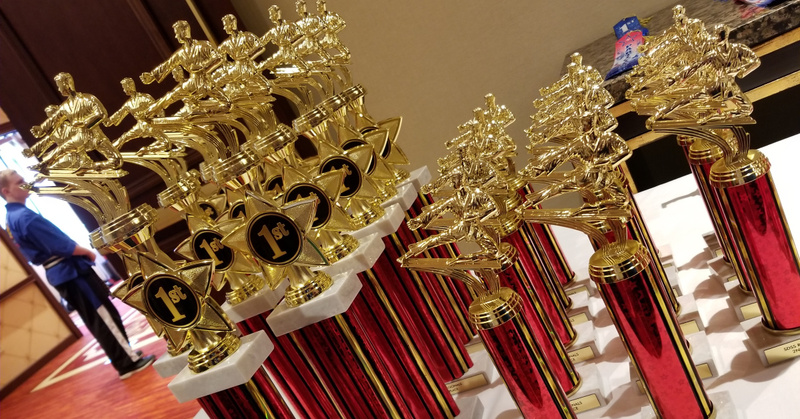 "We introduced this as an event during our regular Shaolin Olympics," he explained. "It quickly took on a life of its own. I wasn't surprised by how popular the event became. It adds a whole new dimension of fitness, focus, and excitement to an already strong program." 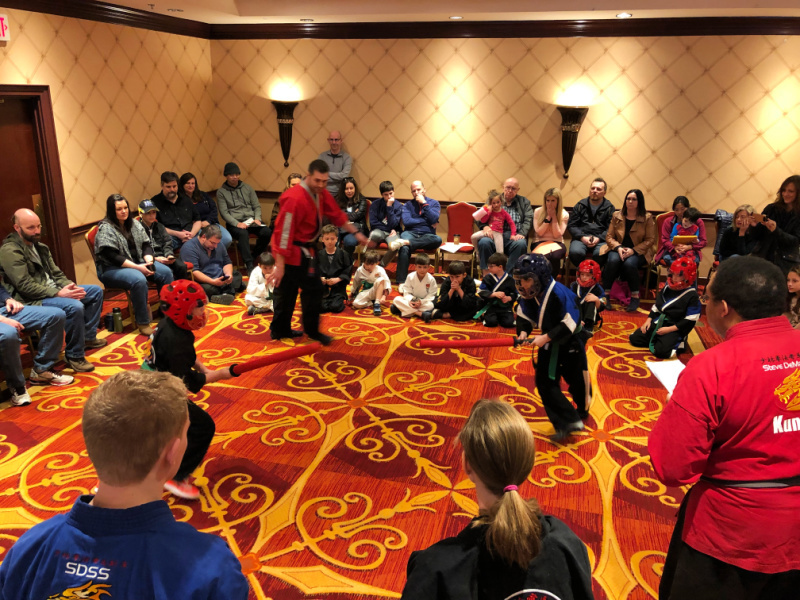 Well over 100 students participated from across all the Connecticut studios. 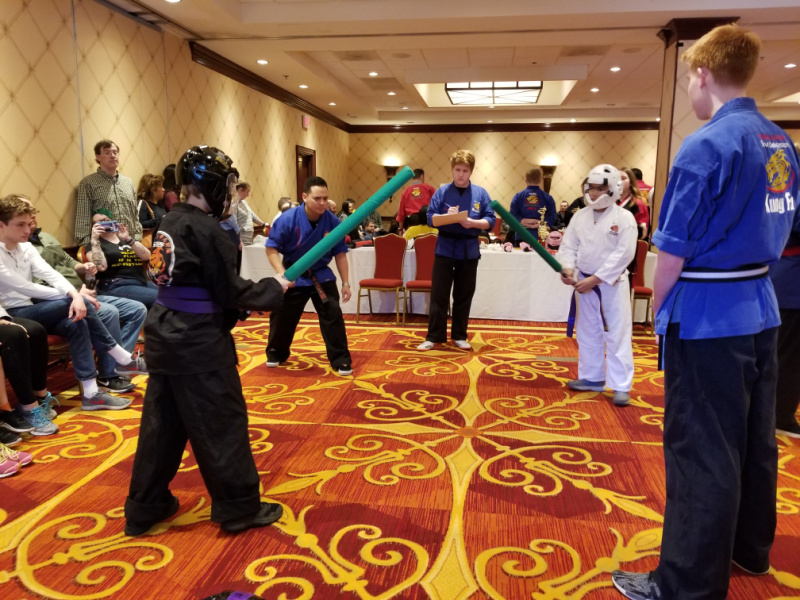 Sword sparring involves two carefully matched opponents using foam swords. The object is to "tag" your opponent with your sword before she/he tags you. Each "tag" earns a point, and the first to 5 points wins. 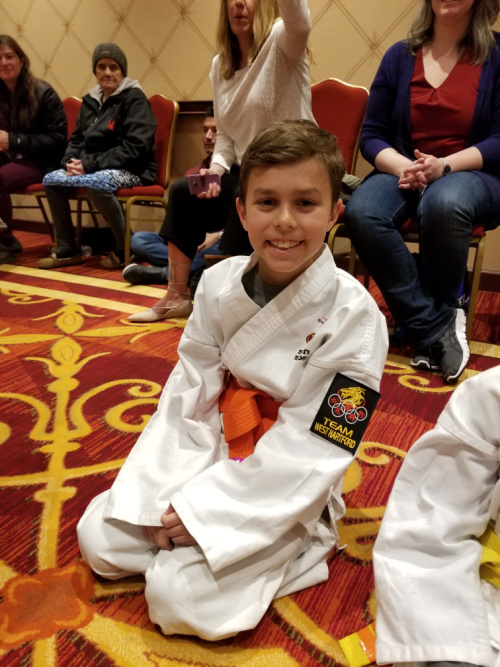 Students wear full sparring gear and held to the highest expectations for sportsmanship and self-control. Three (or more) judges, all certified SDSS instructors, judge each event. All judges receive special training before being allowed to judge a match. On the other hand, Point Sparring has long been a staple of the SDSS Tournament experience. 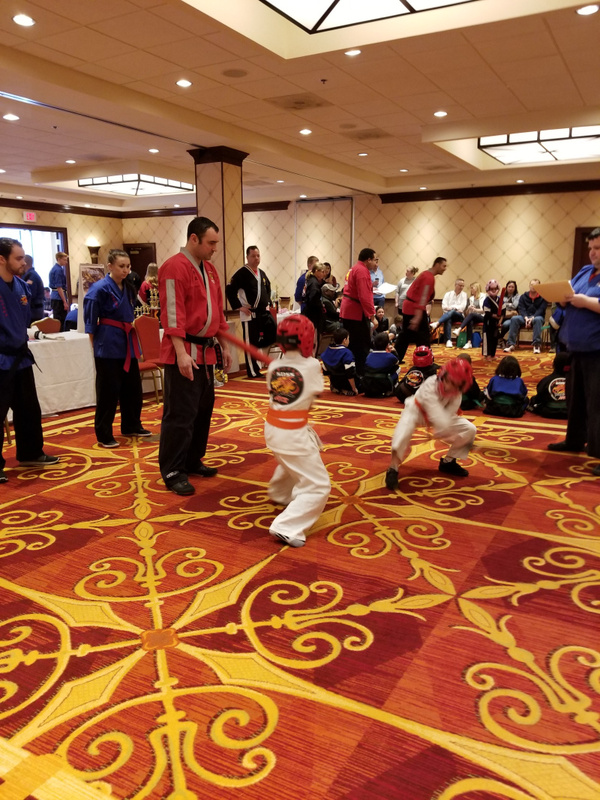 Students pair up and put their martial skills to firsthand use. 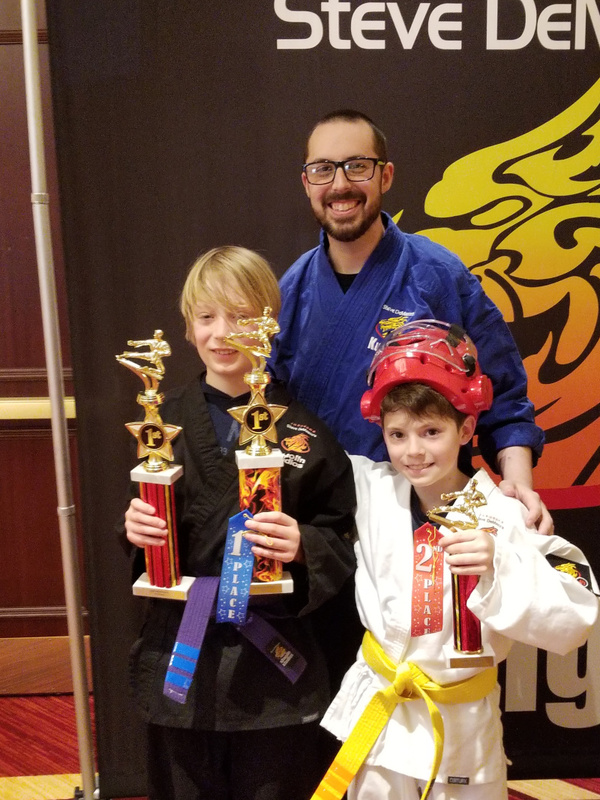 Contact is strictly governed by rules carefully determined by Grandmaster DeMasco himself. Although opponents do make contact, students must maintain excellent self-control. 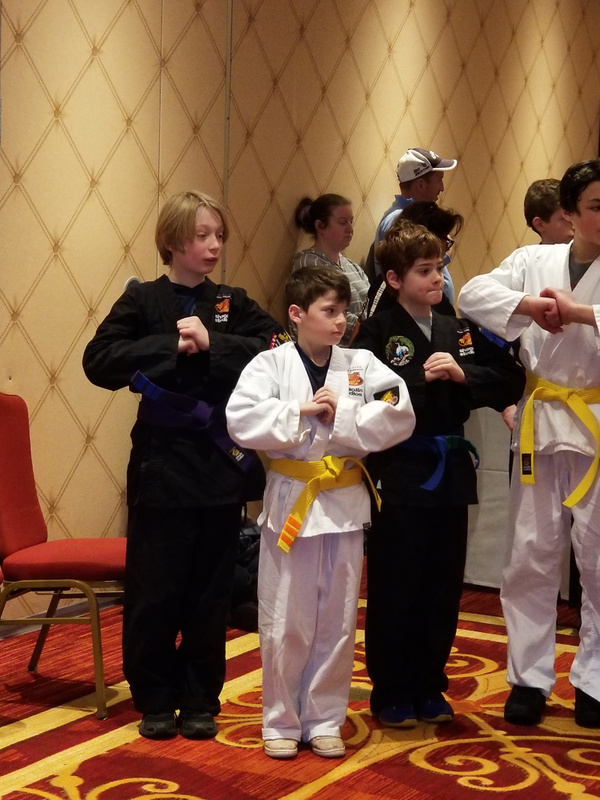 Students are as safe practicing point sparring as they are in any other sport (and safer than most). "My boys love it," said Leah, a Fairfield mom of twin 10-year-old boys. 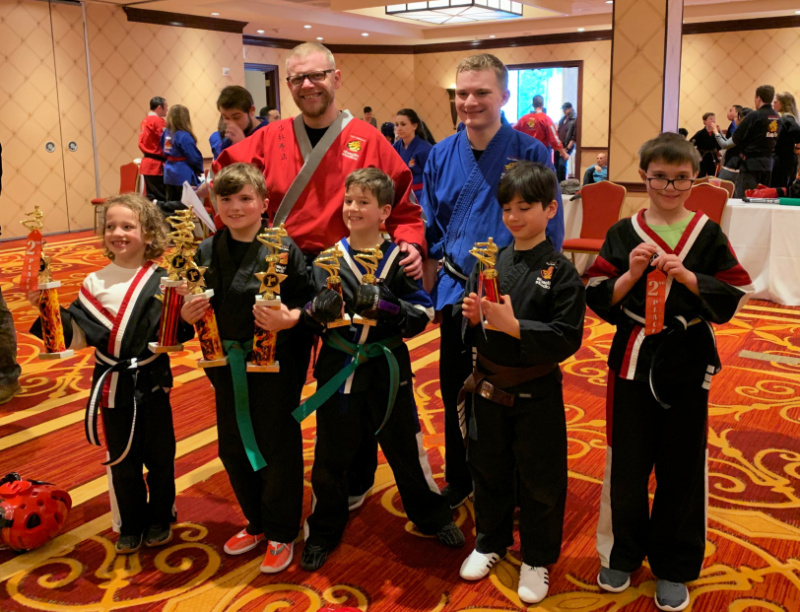 "The instructors have been great. 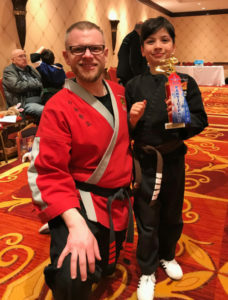 My boys have stayed with Kung Fu for over 5 years now, and the sparring has been a big part of it. It keeps it exciting, and helps keep them focused." 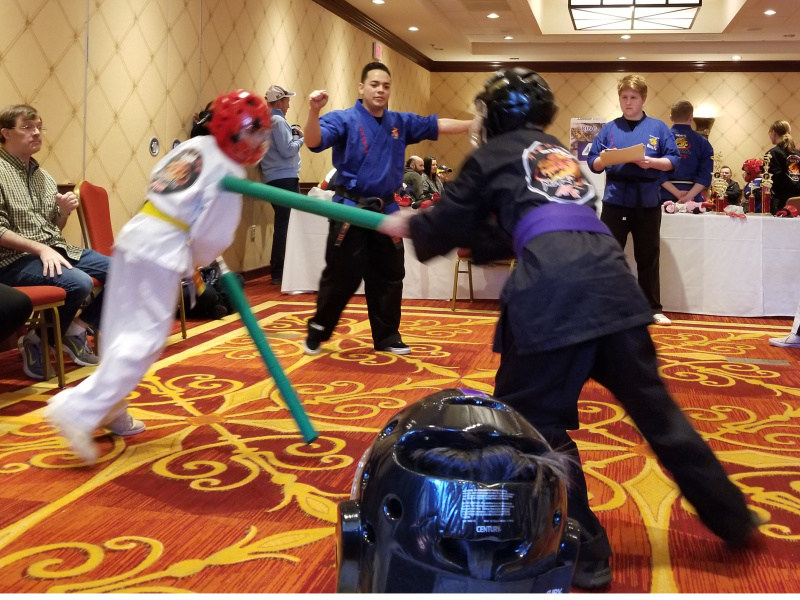 Sparring, whether with swords or with others, is a great way to build fitness, coordination, and understand how an opponent will react and move. You'll see the fitness benefits immediately. Moreover, it's really fun. Ask your instructor what sparring opportunities are available at your local studio!